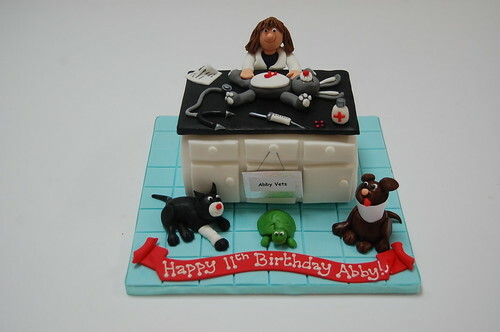 Perfect cake for a budding vet! I’m sure she helped the bunny survive his nasty injury! The Vet Cake – from £80.